1. Now that BART has a connector transport to the Coliseum station (think "Penn Station" for getting anywhere in the city or East Bay), fly into Oakland Airport and feel really good about your decision to do so. Think, "This is so easy!" as you follow the 10+ signs directing you from Baggage Claim to the BART, feeling a little bit like Dorothy in the Wizard of Oz without the obnoxious Rudolph shoes. 2. Feel less like Dorothy and more like the brainless Scarecrow when you actually get on BART and realize you can't understand any of the stop announcements. "Did he say 'Embarrassment'? Or Embarcadero?" 3. After transferring to MUNI, finally arrive at your destination stop (Castro, which should NOT be confused with Castro Valley). Praise God that you had the foresight to bring a rolling suitcase, because apparently your friend's residence is located at the top of a massive hill that's basically a mountain, and can we just pause and sit down on the sidewalk for a second to discuss who in their right mind would decide to build a city on top of all (gasp) these (gasp) mountains (gasp)? 4. Once inside the house (that obviously required you to climb up two narrow flights of stairs to access), replenish all the fluids you sweat out with local Sonoma-procured wine enjoyed on your friend's rooftop deck. Okay, fine, now you get the whole city built on a mountain range thing. 5. Call a Lyft to transport you to dinner at Huxley in Tenderloin District which automatically makes you think of pork. Feel immediately charmed by the 25-seat restaurant whose spatial limitations feel far more intentional than the standard hole-in-the-wall. This is a spot for the gastronomically unintimidated -- particularly with the reservation policy that requires a credit card be placed on file to secure. Order the avocado toast with uni on local Jane bread, the charred squid with chickpeas and fermented cabbage, and wild mushrooms with polenta that is reminiscent of a cream of mushroom soup casserole. Finish with a scoop of the malted milk ice cream with medjool dates and hazelnuts that is reminiscent of… butter. 6. Call another Lyft (because when in Rome) to transport you to the Mission District for post-dinner libations that start at Elixir and end at ABV where the menu presentation demands you start by picking your spirit poison. It's a red pill, blue pill moment, but it's 12 a.m. and your final answer is… whiskey. 7. 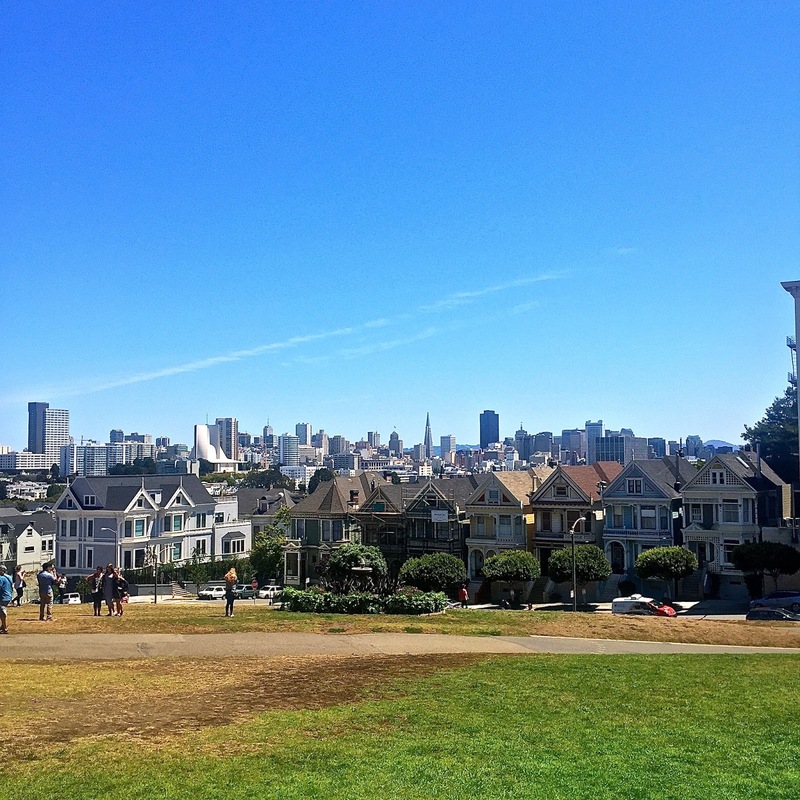 The following morning, take the bus to The Mill in Alamo Square because hills are not an option when you've had that much…poison. Express confusion as to why neither your BART or MUNI cards work, but pay your $2.25 fare without further complaint because #needcoffee. Snack on a loaf of the country bread while waiting for your almond butter-enhanced, cinnamon sugar toast and almond milk cappuccino that will taste suspiciously like it's made with real milk because so good. 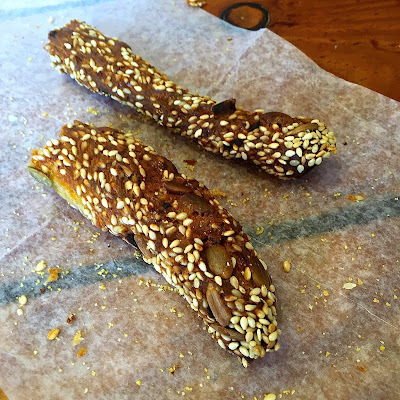 Even though you are about to eat more bread for your breakfast, continue to tear off massive hunks of the warm, WARM, loaf because… so good. 8. 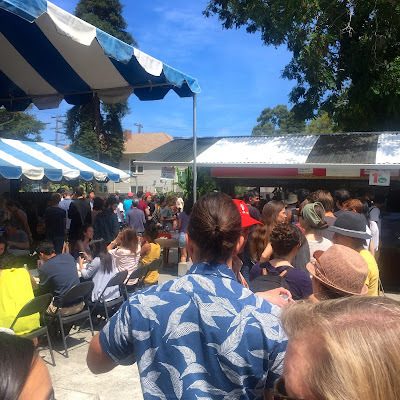 Discover that an outpost of Bi-Rite Creamery is conveniently located two blocks away from The Mill and, when in Rome... salted caramel ice cream for a second breakfast? 9. 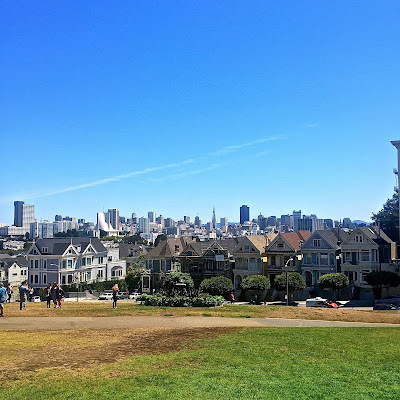 Walk to see the houses featured in the opening credits of "Full House," which your savvy San Francisco friend informs you are actually called the "Painted Ladies." Whatever, at least you didn't get photo bombed by John Stamos, okay? 10. 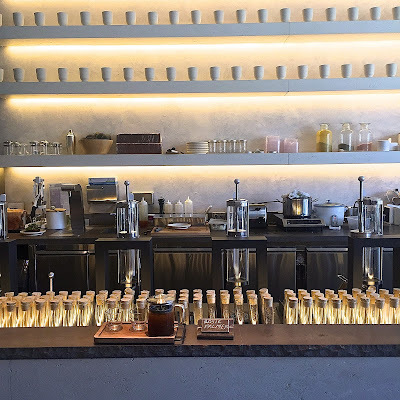 Since you're not nearly caffeinated enough for all this dang walking, stop at Samovar Tea for a masala chai or Hong Kong latte made with almond milk that will also taste suspiciously like it's made with real milk. Buy some rooibos tea to take home with you even after you've been informed it's possible to order the tea online. 11. Continue your urban hike through the Mission District to visit a bunch of boutiques that all carry quirky cards and jewelry and over-priced accessory things that seem instantly more desirable because they are sold in San Francisco rather than LA. Fall in love with at least three dresses at Mira Mira, but only buy one when you remember you have to lug your suitcase down all those damn narrow stairs when you leave tomorrow. 12. Pause at the entrance to Clarion Alley and engage in the following exchange with your SF host. Her: "This is one of the really famous SF street art spaces." You: "Oh." Her: "Do you want to go look or… you good?" You (after a five-second once-over): "Yeaaaah, think I'm good." 13. Now that you've gotten your fill of culture for the day, get your fill of more carbs at Arizmendi, a worker-owned cooperative that offers one and only one type of (vegetarian) pizza a day. Order a slice of the daily special, along with a seeded cheddar jalepeno breadstick that's longer than your forearm. Feel momentarily special because they gave you an extra sliver of pizza with your slice, only to realize they give everyone an extra sliver, and you are not special at all. 14. On your walk back to Castro, spontaneously stop into an Open House that is amazingly happening on a Saturday (!!!) which is apparently a very big deal in San Francisco, and you've basically just seen a unicorn. Try not to be too horrified when you see the size of the supposed $1 million dollar "steal." THIS CITY IS BUILT ON MOUNTAINS, PEOPLE! 15. After resting your weary limbs back at home, fire up your Lyft app again to get back to the Mission District so you can stand in the line of people waiting for Flour + Water to open at 5:30 pm. Put your name in for a seat at the bar, and then attempt to go to Trick Dog for drinks while you wait. Discover that everyone who put in their name before you had the same brilliant beyond brilliant plan, and take a spontaneous detour to The Homestead for Palomas instead. 16. 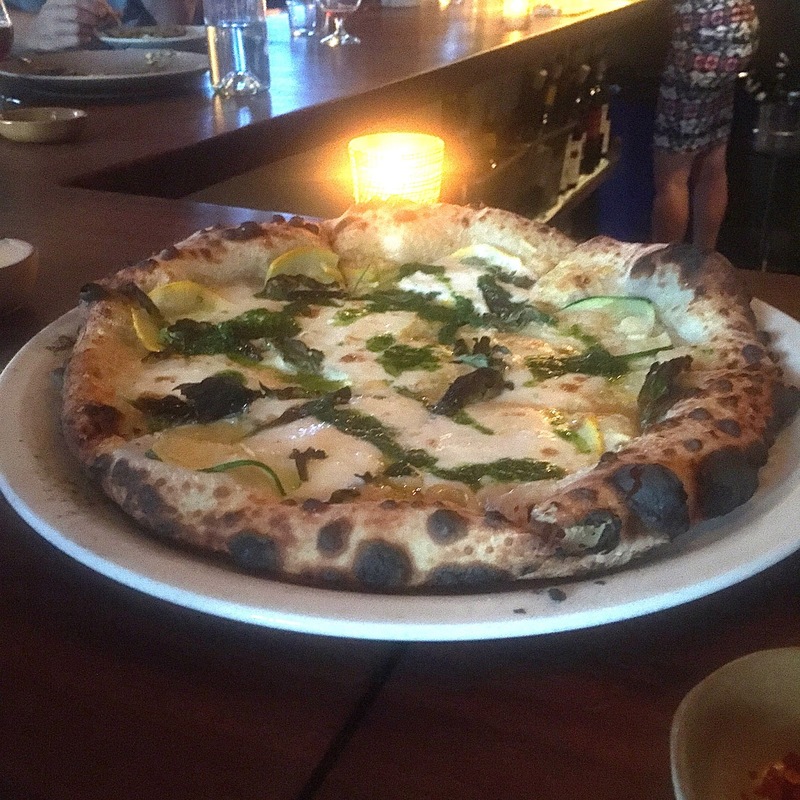 Once seated at Flour + Water (two hours after putting your name in), decide you've had too much gluten that day and order stone fruit with ricotta... to start. Follow it with any combination of the seasonally-inspired housemade pastas and pizzas; perhaps a pappardelle with corn ribboned underneath coy shavings of summer truffles, or a summer squash-topped pie that you decide definitely qualifies as your sole vegetable serving of the day. When your server asks if you want dessert, say, "The chocolate budino with sea salt." Chocolate + Sea Salt = Good. 17. Adjourn to Dalva for further refreshment, proceeding directly to the back bar, Hideout which, despite the name, doesn't seem all that well-hidden. Still feel pretty dang cool about it because, guess what guys, you're not from around here, and you're like soooo in the know about the bar behind the bar. Order the Hideout Whiskey Cocktail and hang out in the upstairs loft area until it gets too hot/you realize you can drink your fancy cocktail in the vastly more temperate Dalva lounge and still be in the know. You know? 18. 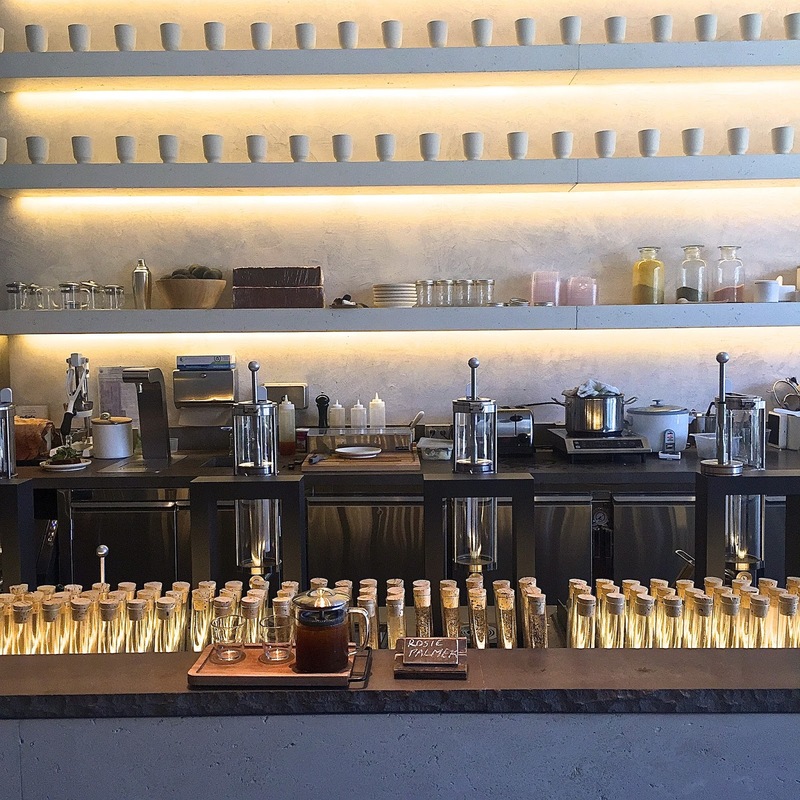 On Sunday morning, procure some local kombucha on tap at Atlas Cafe and take an East Bay road trip with a group of friends to feast on Thai food at the Thai Temple in Berkeley. While you wait in one of two lines (vegetarian or meat), play a little game of divide-and-conquer, sending one person to get tokens to "pay" for your food, one to secure papaya salad and mango sticky rice, another to tackle the line for cinnamon kanom krok (fried coconut pancakes), and yet another to find seating on the adjacent communal picnic tables. When you are all in possession of food and begin, well, possessing it, start speaking in hyperbole, declaring the pad thai the best you've ever had. Ignore anyone who thinks you are lame for liking pad thai because you know deep down they red heart emoji it too. 19. With a few hours to spare before your flight home (and no additional space in your stomach for another meal), go hiking in the hills above the Berkeley campus. Think, "Gee, I wonder if all these pretty plants we are walking by are poison oak?" just as your helpful friend announces, "Watch out for the poison oak!" Spend the rest of the hike afraid to touch anything, even the pine needles. Cross-contamination, people. CROSS-CONTAMINATION. 20. In dire need of fresh produce before you hit the airport, make a pit stop at Berkeley Bowl, most accurately described as a farmers' market inside a grocery store. Buy more plums and peaches than you can conceivably eat prior to your flight, and then stand in the parking lot attempting to conceivably eat them all. Vow to get more the next time you're in the San Francisco area because you can already tell you're about to leave a piece of your red heart emoji there.